Judge So was appointed by the Supreme Court as an initial CJEO member in 2009. He began his judicial career on the San Diego Municipal Court in 1994 and was appointed to the San Diego Superior Court in 1998. He has served his court as its presiding judge, supervising criminal judge, presiding judge of the appellate division, and on its executive committee. As a member of the California Judges Association, he has served on the judicial ethics committee. 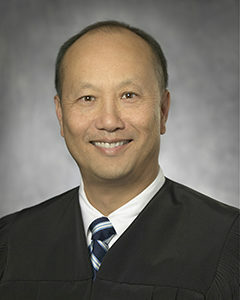 Judge So has also served the judicial branch and the public as a Judicial Council member, on its Executive and Planning Committee, as chair of the Policy Coordination and Liaison Committee, on the Enterprise-Wide Infrastructure Governance Committee, and on the Trial Court Budget and Presiding Judge/Court Executive Officer working groups.